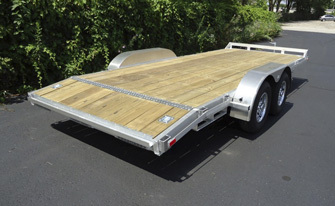 We offer a beautiful line of flat bed trailers with stow away ramps. They’re perfect for hauling your big kid toys around! As a dealer for ShowHauler Trucks, our customer base stretches across the lower 48 states and Canada. When looking for that perfect coach, the glitz and glamour of it may be important, but it’s not nearly as important as what isn’t seen. See the difference. Check back for latest show schedule. Copyright © 2014–2019 Swan Creek Conversions. All rights reserved. Website by Ecliptic Technologies, Inc.